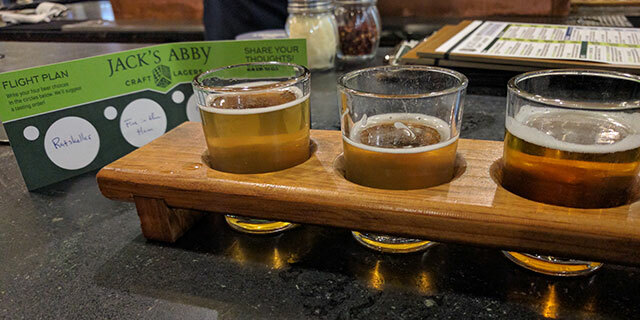 If you're looking for more of a beer hall than a taproom, then Jack's Abby is the place for you. 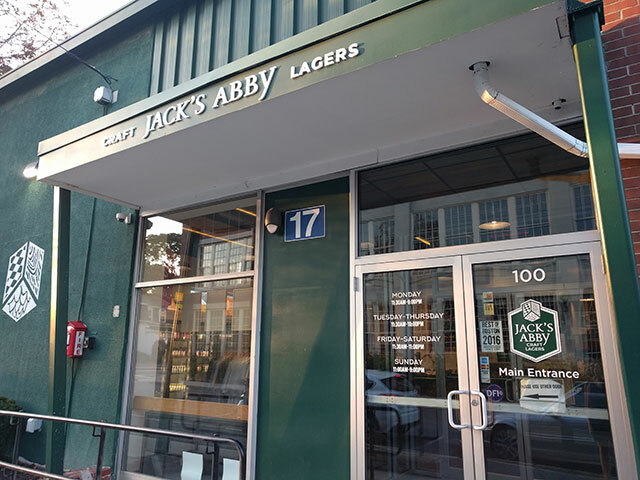 Jack's Abby is the complete craft beer experience in that it serves tasty beer with delicious food pairings, before letting you part ways with more of your hard earned money by selling 4-packs, t-shirts, and even beer soap. Where is Jack’s Abby located? The brewery is located on Clinton Street in Downtown Framingham, MA. 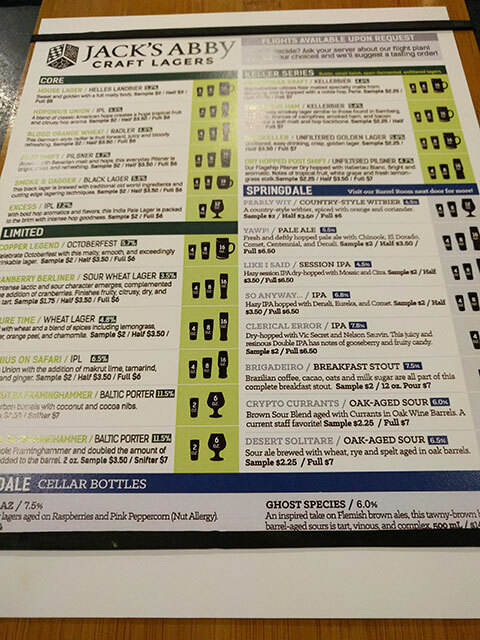 In fact, there are two breweries on Clinton St., Jack’s, and it’s spinoff, Springdale (Barrel Room). 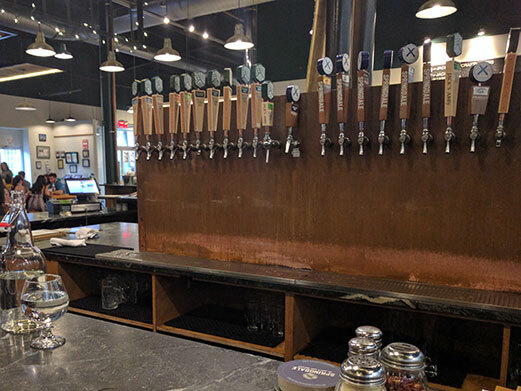 Between Jack’s, Springdale, and Exhibit A Brewing, Framingham, and Metrowest in general, have at their disposal quite the arsenal of lagers, ales, and experimental craft beers. It may not be Everett, with Idle Hands, Night Shift, Bone Up, Down the Road, Artifact Cider, and Short Path all within a stone’s throw of each other. But, Framingham’s got a nice mini beer scene burgeoning. 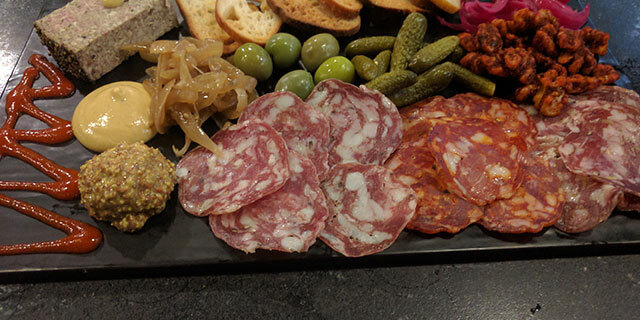 The Hendler Brothers opened Jack’s Abby in 2011. Their original location at 81 Morton Street is now the site of Exhibit A Brewing. All three breweries, Jack’s, Springdale, and Exhibit A are taking advantage of underutilized warehouses and industrial buildings downtown, near the Framingham train station. With the move from Morton Street to Clinton Street, Jack’s increased their physical space ~13x, allowing them to produce over 100k barrels per year. What an amazing amount of beer for a still-growing independent brewer. One challenge of scaling the business is accounting for the storage of barrels, cans, and grains. The sheer size and scope of the brewery dwarfs that of locals Start Line, Cold Harbor, Lookout Farm Brewing, and Exhibit A. Yes. I haven’t taken one yet. I can’t image a tour of Jack’s would come with the same intimacy found in the tour offered by Squam Brewing, the one man nanobrewery near Squam Lake in NH. Yes. Jack’s is almost more of a restaurant in it’s overall feel than bar. Springdale next door had some permitting issues disallowing children in the summer of 2017, but that got resolved. I would imagine the 6pm 21+ cut-off for Springdale applies to Jack’s as well. What types of beer does Jack’s Abby brew? Lagers. How many lagers? All the lagers. Jack’s is focused on straddling the line between German tradition with American innovation with regard to brewing. One great thing about Jack’s is that there is so much diversity in the beer they not only brew, but what they offer at the taproom. Opt for one of each: Core, Limited, Keller, and Springdale. Fridges full of 16oz 4 packs adorns Jack’s merch area. With somewhere between 18 to 24 beers on tap, one would think they’d be stupid not to offer flights. Good question. Not sure that they do. Quite the fair share of merch can be purchased at the counter as you enter the taproom. Check out Red Castle Beer Soap if you want to lather up in the refreshing suds of saponified cerveza! Does Jack’s Abby serve food? 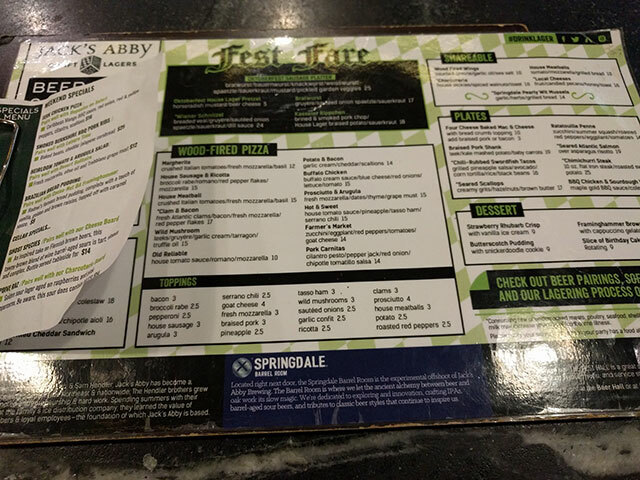 While Jack’s has entrees, shareable plates, pizzas, desert, and specials, it isn’t quite the full menu that you’d find at a restaurant, but it’s close enough. What Jack’s does well is pork. The carnitas pizza and the braised pork shank were excellent. I imagine the other gourmet pizzas are just as delicious. That said, I’m here to tell you that the braised pork shank was worth every dollar and more. They have hosted trivia nights in the past. However, they don’t have a live music license. Can I buy Jack’s Abby beers in stores? Yes. You would be hard pressed to not find any Jack’s Abby beer being sold at a store within 50 miles of Framingham. If you live in the Metrowest area, you’ve ~definitely~ probably visited Jack’s at some point over the past 6-7 years. Even if you don’t, the craft beer connoisseur in you has probably worked up the motivation to make the trip out to Jack’s Abby at some point. Jack’s is a working person’s brewery. It doesn’t come with the mythic quality of Treehouse, it just works hard to earn your respect through great beer, good food, and a fantastic taproom ambiance.